There is a special connection that exists between siblings. With my own sisters, it's fair to say that they know me sometimes better than I know myself. They are great advocates, critical analyzers, staunch supporters, and ultimately the ones you know will tell you what they really think about your new hot pink handbag. 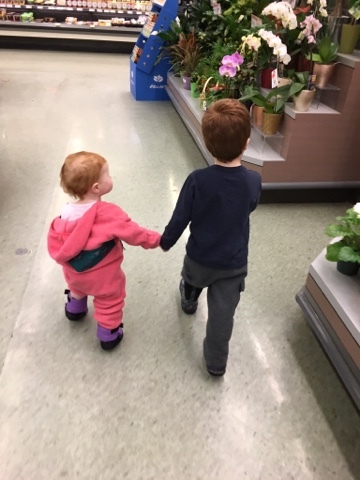 It warms my heart to see the relationship developing between my children. Yes, they argue. They fight. There is the occasional time out with a reminder that "we do not hit our sister with the Star Wars light sabre", but there is also a whole lot of this. My son frequently tells me that "she is a good baby sister mama, we should keep her"
Yes son, yes we should.